Dr. Gotora completed his undergraduate degree in Biology/Chemistry from Carthage in Wisconsin. He went on to obtain his Doctor of Dental Surgery degree from Howard University. He has a passion for continuing education and has taken advanced courses in Pediatric Dentistry, Cosmetic Dentistry, Endodontics, Dental Implants, Orthodontics, Oral Surgery. Dr Gotora stays current with research, technology, new techniques and equipment in this dynamic field. 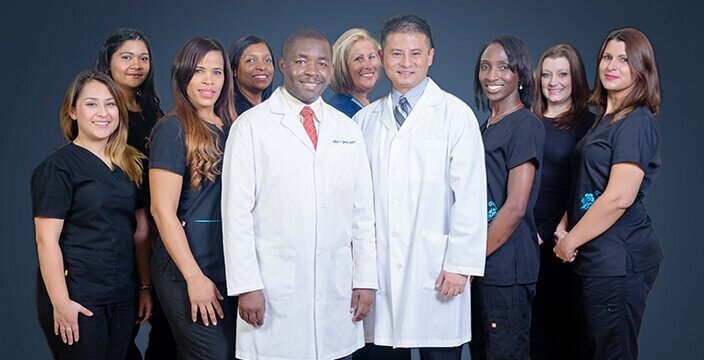 He provides services in Silver Spring and Hyattsville Maryland .Both locations utilize digital xrays and digital dental records. His experince in pediatric dentistry has won the trust of many parents in the community who have made Stellar Dental the dental home for their children and their entire family. Dr Gotora is patient and will listen to your concerns as he finds this to be very important in providing you with a treatment plan that is taylored to your needs. When he is not in the office Dr. Gotora enjoys visiting daycares and schools to educate children about good oral hygiene. His favorite past time – spending time with his family. He also enjoys the outdoors, playing golf and soccer.